With over 23 years of combined personnel experience in hot tub moving, we are the go-to company for moves and installations in every level of size and difficulty. We install small and large hot tub hot tubs as well as swim spa and spa in residential homes and offices. 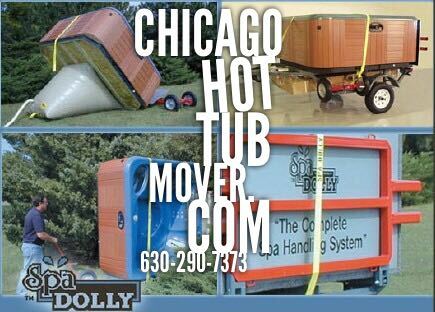 We are The hot tub moving company in Chicago, Illinois, California, Southern California, San Diego, Orange County. We have been contracted by hot tub companies to install all across the area, State of California, Hot tub manufacturers / distributors / brands and over five thousand satisfied customers to handle there hot tub moving needs. We use only the most advanced, state-of-the-art equipment so we can ensure that hot tub is moved with care. In combination with our professionally trained and experienced technicians, we ensure your hot tub will be moved from A to B, damage free and without injury. Services Residential hot tub Installations, Moving & Delivery Commercial hot tub Installations, Moving & Delivery Spa Design & Installation Spa Room Installations or Removal Second-Story or Basement Installations.